Anchor Fast Devon BBQ Shelter is a British made solid wood outdoor structure responsibly constructed from FSC sourced materials, hand crafted in South Yorkshire. 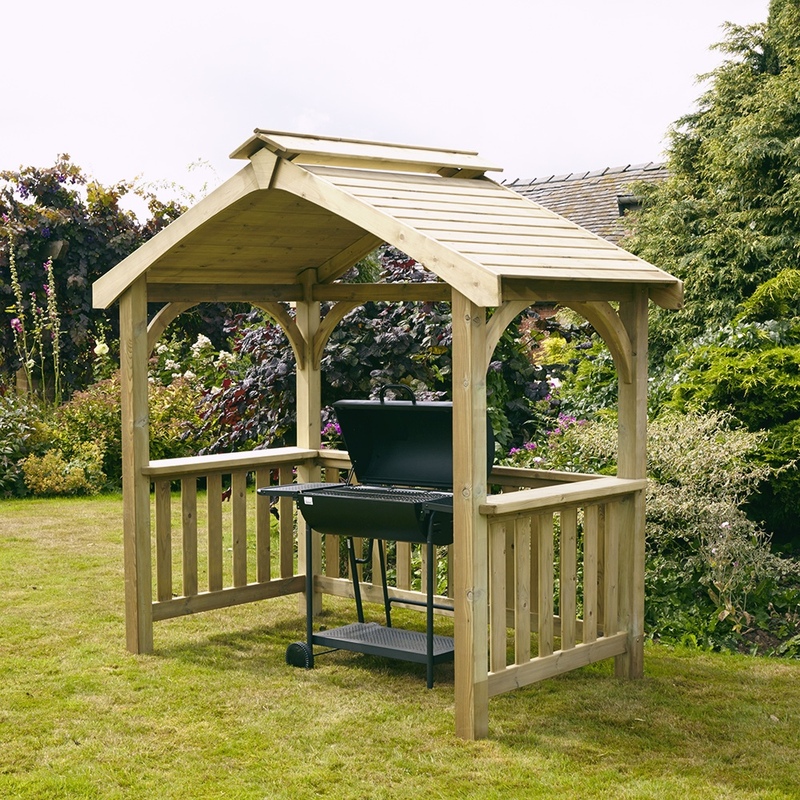 Traditional high quality design, built for sheltering a barbecue and food from the elements during all-weather outdoor cooking. Using pressure treated tanilised Northern Swedish Spruce timber ensuring great strength. Pressure treated in accordance with BS 8417:2011 to provide protection against bio-deterioration.